Water softeners can prove to be very complex little machines. And with all complex machines, there will come a point when you will run into a few problems. While most water softener manufacturers offer technical support to their customers, truth be told, most issues you run into don’t require professional assistance. As long as you are able to identify the cause of the issue you should be able to fix it yourself. If for some reason you are unable to identify the cause, in this case it is best to seek the advice of a professional. Also, before you start trying to troubleshoot your water softener, be sure to read over your warranty. Some warranties become invalid if you should try to troubleshoot the system yourself. Make sure this isn’t the case before you get started. 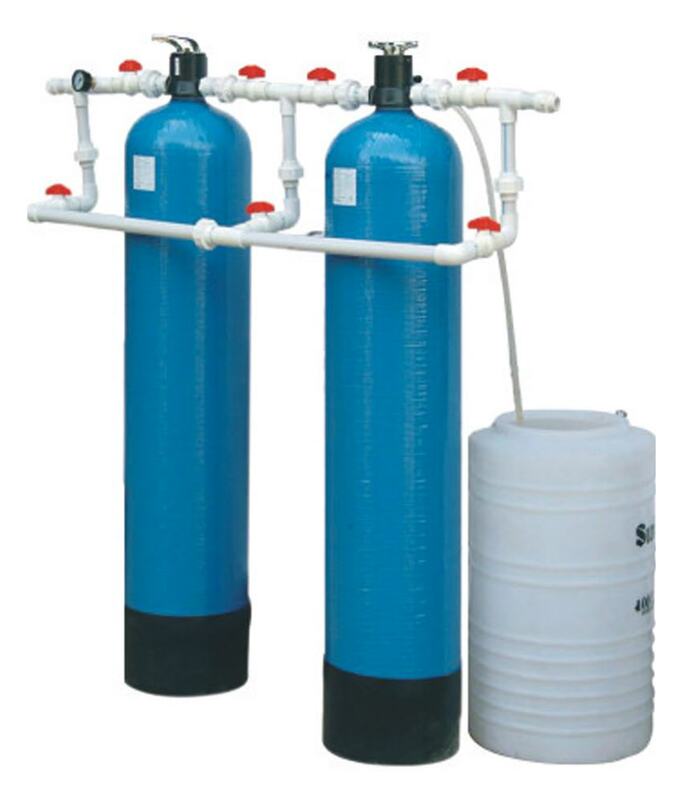 The most common problem you may face is the water softener will just stop running altogether. To find out what is causing the softener not to work there are 4 steps you will need to take. The bypass valve ensures water is always flowing through the system. If it is not open the flow of water will stop and the system will shut down. If your system stops running check to see if the bypass valve is closed. Sounds simple but sometimes things aren’t properly plugged in and that can lead to the system not working. Check to make sure the unit is plugged into a live outlet and that it is getting enough power to operate the machine. This one is pretty self explanatory. If there is not enough salt in the brine tank it will not be able to do it job. Most units have a controller that allows you to manually start a regeneration cycle whenever you will it’s necessary. If your system all of a sudden stops working, trying doing a manual regeneration to see if that gets it going again. Your water softener not working is probably the most common issue you will run into. However, there are also a few other issues they may pop up from time to time. Other common issues you can address without the assistance of a professional include motor failure, user error messages and resin beads breaking. Salt based water softeners are the only type of softeners that use resin beads. And generally speaking those resin beads will last for as long as you are using the system. However, in some cases the beads may break and become ineffective at doing their job. If you notice small bead particles floating around in the water that has already been softened, it means the beads are broken and no longer working. Also, if your systems requires regeneration on a more frequent basis, that too is a sign your beads may not be working properly. To fix this problem you can either clean the beads or replace them altogether. If the beads have broken they will need to be replaced. The motor just may be the most vital part of the water softener. If it fails the whole system will fail. If your water softener won’t start up, chances are it is due to the motor. However, before making that conclusion check to make sure all cables are properly connected. Sometimes a disconnected cable can appear to be motor failure. If you find that the issue is indeed with the motor, contact the manufacturer and see what you should do about it. This is not an issue you will want to try and fix yourself. Depending on how long you have had the system and what is covered by the warranty, the manufacturer will either send out a technician to repair the motor or they will offer a replacement motor. When operating a water softener there are certain settings that require user input. Being that this is a manual process, you can expect things to go wrong every now and then due to user error. While the more basic water softener systems are fairly easy to use, the most advanced systems can be quite complicated to figure out as they tend to require more technical know how. The best way to avoid user error is to make sure you read the user manual before you start pushing buttons. Follow the instructions as they are laid out. If you still get a user error, simply refer back to the user manual to see where you went wrong. If you continue to get a user error contact the manufacturer.